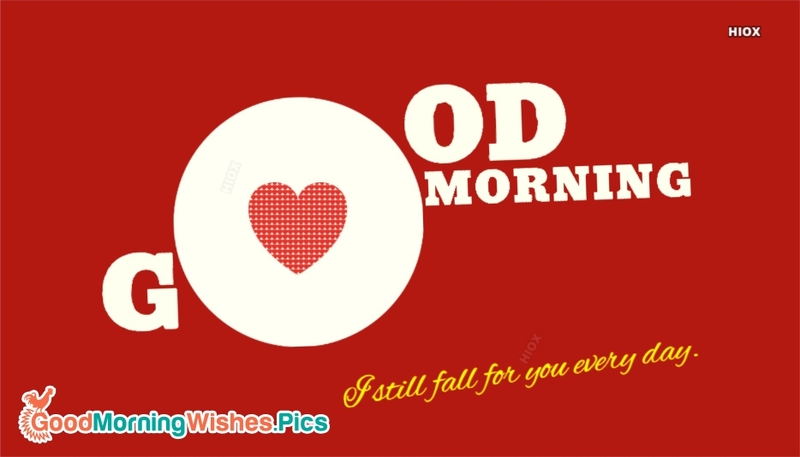 A cute good morning wishes ecard with a love quote "I still fall for you everyday" to share with your beloved one. Put a smile on the face of your love partner sharing this cool love text. Download and share it for free.